Massage Therapy has become the most widely used complementary care modality in the United States. If you’re an energetic, physical person interested in kinesiology, the body and enhancing an active lifestyle – if the idea of sitting at a desk all day makes you cringe – you owe it to yourself to consider a future in massage therapy. You are interested in relieving pain due to injuries, overexertion, and training. You are interested in bio-mechanics and the muscular system. You have good communication skills and can properly determine the best type of massage for your client. You might enjoy volunteering at weekend charity walks or sporting events to network and get to know new clients. You are willing to adapt to your diverse clientele’s personalities and schedules. You are interested in learning how to work with minor chronic disabilities and injuries. The Massage Therapy Training Program from National Holistic Institute (NHI) provides the hands-on training, practical experience and industry support it takes to become a qualified and confident massage practitioner. You’ll also receive training in Eastern modalities such as Shiatsu and acupressure to complement your practice. In addition to comprehensive massage training, business and science classes equip you with all the skills you need to work in the rapidly-growing industry of massage therapy. Massage is unquestionably a hands-on field, and at NHI we believe that’s how it should be taught. As a student in this program you’ll treat real clients, under the guidance of licensed instructors, in our on-campus clinics. You’ll feel comfortable and fully prepared to transition from student to working massage professional after gaining so much direct, real world experience before you graduate. This program is designed to fit the needs of busy adult learners. We understand the lives our students lead, and how important it is to have balance. Many students are working, taking care of family and/or juggling other commitments while they attend school. Choose the schedule that best fits your lifestyle. The full-time program can be completed in 8 months. The part-time program can be completed in 10 months or 12 months. Upon completion of this program, graduates are fully prepared and qualified to take the MBLEX exam required for California Massage Therapy Council (CAMTC) Certification. After completing 500 hours of the program, you’ll be eligible to begin the application process for CAMTC certification. Once you’re certified you can work in the massage therapy field. If you become certified before graduating the program, you can begin working while you finish your training. As an NHI graduate, you will have the skills it takes to build the career you want. You will learn skills that allow you to run your own practice. You may choose to work full or part-time in a variety of exciting professional settings. Individuals who choose to focus on athletics may work for Sports Teams, at Marathons and other Sporting Events, in Health Clubs and Fitness Centers and more. Help others stay in optimum health and get the most from their bodies. Massage training isn’t about getting a diploma to hang on the wall – it’s about developing the future you desire. As an NHI student you will be mentored by a dedicated and passionate team of massage therapy professionals committed to your success. You will also have access to a Student Life and Career Counselor at each campus to assist you with each step of becoming a massage therapist. It is our mission at NHI to help you find work you love. Over 87% of our graduates are working in the field of massage therapy. 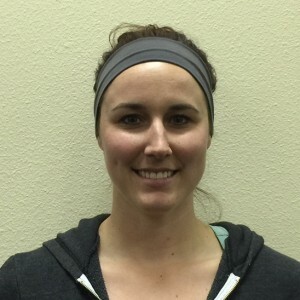 “I chose massage therapy because it would enhance my career as a Strength and Conditioning Coach. I plan to combine my current career as a Personal Trainer with my newly acquired bodywork skills and knowledge of the body and muscles to better be able to help my clients achieve their athletic potential. 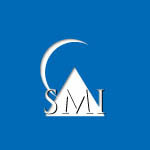 “My name is Mark Fadil and I am the co-founder of Sports Medicine Institute (SMI) in Palo Alto, CA. We are a non-profit, public benefit corporation and over the last 16 years have been providing the most up-to-date and advanced orthopedic massage therapy for performance enhancement, injury prevention and injury rehabilitation. Over the past few years I have been working closely with the National Holistic Institute. I have overseen numerous NHI interns and have hired a number of NHI graduates for employment as massage therapists. I have been exposed to a lot of massage therapy schools since I started SMI, and NHI rises head and shoulders above the rest. 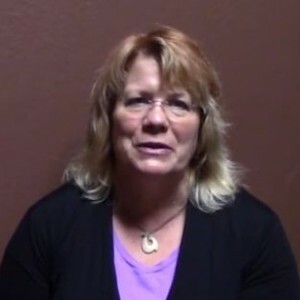 One of my goals at SMI has been to weave Orthopedic Massage Therapy (OMT) into the fabric of the medical community and establish OMT as part of a comprehensive treatment plan for preventing and treating the soft tissue component of orthopedic injures and dysfunctions. As a result, my therapists have to be able to communicate proficiently with Medical Doctors, Physical Therapists and other health care professionals. Due to the education received at NHI, graduates can effectively do this. They have a comprehensive understanding of orthopedic pain and dysfunction and know how to apply and strategize this knowledge into effective treatment protocols. Furthermore, NHI is only getting better. They are constantly striving to improve the educational opportunities available to their students and work with the community to ensure the best possible job opportunities for their graduates. If you’re interested in learning more about careers in Massage Therapy and exploring whether NHI is right for you, fill out the form on this page and receive more information. A helpful NHI Admissions Representative would be happy to answer any questions you have and help with everything from scheduling to financial aid. To speak to a knowledgeable NHI Admissions Advisor, give us a call at 800-315-3552. NHI had a full curriculum that I really enjoyed. I also really loved the campus – the campus was just beautiful. Because of my education at NHI, I was able to not only get a job as a massage therapist, but I actually ended up buying a spa right before I graduated. I had no intention of buying a spa but because the previous owner was looking to sell it and she knew I went to NHI she decided that I would be a good fit to purchase her spa.